Paragon’s real estate executives bring decades of success in real estate asset development and management to your projects. As needed, they contract and manage the best professionals for your specific project needs. Rich Block is President of Paragon Realty and oversees all activities of the company, and is most active directing the investment, development, and capital activities. Rich has an extensive background in real estate development and construction, including design engineering, project management, sales/marketing and financing of projects. Prior to co-founding Paragon Realty in 1994, Rich worked as a Construction Engineer in the US Air Force, in sales and marketing for a large general contractor in North Carolina, and as Vice-President of Development for Greenwalt Development, Inc.
Rich has been involved in developing and acquiring nearly $1 billion of commercial and residential property during his career. While early Paragon projects included two multi-family and five single-family residential communities, activity since early 2000 has been exclusively commercial/industrial with a focus on retail. The company has an extensive portfolio of properties developed as a Preferred Developer for Autozone and Dollar General, and many other build-to-suit and shopping centers for Starbucks, Walgreens, Aldi, Kroger, Family Dollar, and other national retailers. Other recent activity for the company has included a data center and telecommunications switch station for AT&T in Indianapolis. Rich oversaw the raising of four private equity funds for Paragon Realty, in addition to overseeing millions of dollars of other investor joint venture and partnership investments for Paragon Realty. Rich graduated from Duke University in 1982 with a B.S. in Mechanical Engineering and obtained an MBA from the University of North Carolina in 1988. 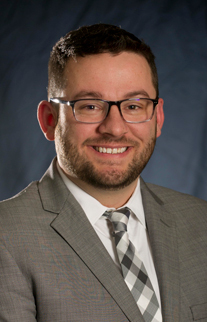 Rich serves on the Fishers City Council, is VP of the Fishers Planning Commission, is a member of numerous Fishers PUD Committees and chaired one committee and served on another committee preparing the 2040 Fishers Comprehensive Plan. Rich was the Chairman of The Hawthorns Members Unsecured Creditors Committee during the Hawthorns Golf & CC bankruptcy. 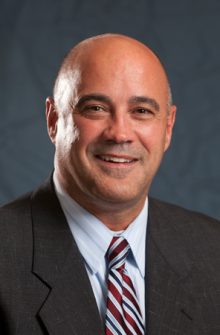 He also has served as President of the Board of Directors for the Fishers/HSE Youth Sports Organization, President of the Fishers Building Corporation, on the Board of Gary Bracket’s Impact Foundation, on the Board for the Hamilton Proper Community Association, and on the Itown Church Building Committee. He currently is a Youth Mentor for YMI in Fishers. Rich is also a former world-class runner, a Sub-Four Minute Miler, a US Olympic Trials qualifier, a two-time Atlantic Coast Conference 800-Mile Champion, and was an All-American at Duke University. Rich has been married to his wife, Betsy, since 1984 and they have four children. William Wilson joined Paragon Realty in 1998 and currently serves as Vice President and General Manager. His current primary focus includes asset and property management, tenant relations, leasing, budgeting, and tenant improvement construction coordination. William is also involved with new property identification and acquisition, financial feasibility analysis, entitlements, development due diligence, and client relations. Prior to joining Paragon Realty, William served eight years as Vice President of Development for a national, multi-family, tax credit apartment developer, where he performed development activities related to all Low Income Housing Tax Credit projects, including market and site selection, pre-development activity, financial feasibility, and tax credit application preparation/allocation. William has been instrumental in developing and managing more than $500 million worth of real estate during his career. William holds a Bachelor of Science and Design Degree in Housing and Urban Development from Arizona State University and an Associate of Arts Degree from Scottsdale Community College. Additionally, he served in the United States Army Reserves JAG Corps for six years. He is an affiliate member of the CCIM Institute and is a Certified Commercial Investment Member. William is an active Indiana Real Estate Broker and a member of the Indiana Commercial Board of Realtors. He is also a certified pilot and a member of the Aircraft Owners and Pilots Association (AOPA). William is married with four children. Mason joined Paragon in 2019 as an Asset Manager, working with clients, tenants, and vendors to manage the assets under Paragon’s care. Prior to joining Paragon, Mason served as Executive Administrator at ITOWN Church, a multi-site, nondenominational church headquartered in Fishers, Indiana. There, he was the member of the Executive Pastoral team who oversaw Finances, Human Resources, Security and Facilities Management. 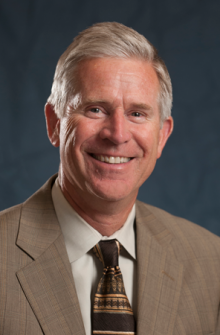 Mason has also provided consulting work for businesses in the areas of leadership development, process improvement, and operational efficiency. Previous career experience included handling talent acquisition, leadership and sales training, and sales management for a 20+ person team in route sales. Mason also managed talent acquisition, licensing, sales training, and client financial coaching for a financial services firm. Since attending Johnson University for Music and Worship Ministry, Mason has taken numerous individual courses in Business Administration, Finance and Human Resources to support his career positions. He has held professional licenses in Life Insurance and two in securities, Series 6 and Series 63. Mason is a songwriter and musician, and a serial hobbyist whose garage is full of the proof of his enthusiasm. He also enjoys table tennis, shooting, and woodworking. Married to his high school sweetheart, Mason and his wife recently celebrated the birth of their first child, Lydia Jane. 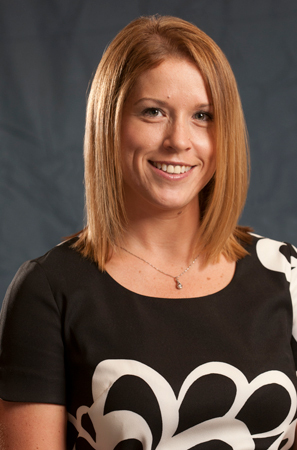 Samantha Durham joined Paragon Realty in September 2007 and serves as Controller. In that role, Samantha’s responsibilities are varied, including handling accounting for all properties and related companies, lease administration, and marketing materials, as well as providing general support for the President and Vice President. She has indirect property management responsibility for the various properties and often addresses tenant concerns. Samantha also coordinates with Paragon’s accountants to prepare financial statements and annual tax returns. Her previous experience in the real estate industry, in addition to working as a junior loan officer and an escrow officer, have prepared her for the position she currently holds. Samantha holds a B.S. in Accounting from Indiana Wesleyan University. Paragon and its employees lend their expertise and service to several not-for-profit and service organizations in the greater Indianapolis community—whether through sharing our real estate expertise or supporting community efforts with volunteering and personal service.